Modern sugar cane varieties are derived from interspecific crosses involving as many as four species. Because a chromosome increase accompanies certain crosses and backcrosses, modern varieties have very high aneuploid chromosome numbers and complicated genetics. Despite this complexity, the chromosome behavior of some modern varieties approaches that of allopolyploids. In achieving homozygosity, therefore, such varieties should respond to inbreeding almost like diploids. 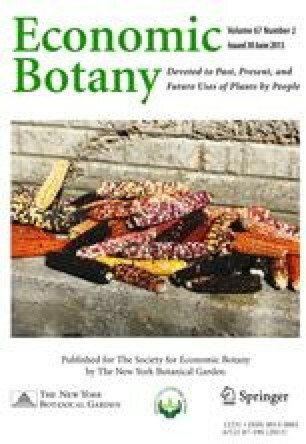 The meiotic chromosome behavior of F1 hybrids and modern varieties indicates little or no genetic exchange between chromosomes ofSaccharum officinarum andS. spontaneum. Irradiation may break linkages between desirable and undesirableS. spontaneum genes not ordinarily broken by crossing-over between the chromosomes of the two species. The quick success of nobilizingS. spontaneum (recurrently back-crossing to “noble canes”) depends on a peculiar increase of the chromosomes ofS. officinarum. Experience with nobilizingS. spontaneum should not make breeders impatient when they turn to interspecific crosses unaccompanied by chromosome increases. A contribution from a co-operative project of the Hawaiian Sugar Planters’ Association and the United States Department of Agriculture. Published with the approval of the Director as Paper No. 123 in the Journal Series of the Experiment Station, HSPA, Honolulu, Rawaii.